Hamlet is a play that questions. Did Shakespeare intend it to be the tragedy of Hamlet, Prince of Denmark or Hamlet the tragedy of man? What is it about, this great masterpiece that continues to fascinate us? Is it a political play about power and corruption in an oppressive political system? Is it a play about human relationships and the baffling mystery of these? Is Hamlet's journey and introspective search ours too? Is there a universal truth in the play that resonates with us all? The play is so multi-layered that many approaches and valid interpretations have been made throughout the play's history; each generation bringing a different perspective. Each Hamlet reflects its own time. Persephone is very proud to add this great tragedy to our repertoire of the highly successful productions of Shakespeare's Othello, and Henry V. Christopher Moore stars as Hamlet. 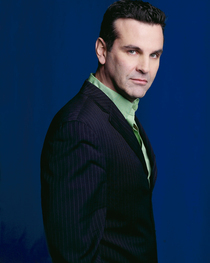 Christopher attended the John Abbott College Professional Theatre Program where he received The Pamela Montgomery Award upon graduation in 2005. Since then he has performed on several stages around Montreal. Acting credits include: Duff in Nick Whitby’s “The The Green Fields Beyond (winner if the 2007 MECCA for Best Ensemble) and Iago in Shakespeare’s “Othello” (Persephone Productions), Max in Sherman’s “Bent” (Altera Vitae), David in Katherine Dempsey’s “Penumbra” (Lapin Dans Un Chapeau) and Benjamin in “The Graduate” (Hudson Village) and David Lewis in “Haunted House” by Endre Farkas. Most recently he was found co-directing “The Fiddler on The Roof” for John Abbott College’s Casgrain Theatre and Shakespeare’s “HENRY V” for Persephone Productions. Howard was last seen as Luddy in Table D’ Hôte’s Elizabeth Rex, directed by Mike Payette and Liz Valdez at the Segal Studio Theatre. 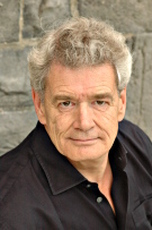 Some of his Montreal performances include Mark in The Leisure Society, directed by Ellen David, Victor/Uday in Arthur Holden’s Father Land, and Larry/Cosmo in Amy Lee Lavoie’s Rabbit Rabbit with Guy Sprung’s Infinitheatre. He played Dr. Thomas Russell in Katharine Dempsey’s Penumbra at the Fringe and again at Centaur, and Rex in Jim Burke’s Cornered at Theatre Ste Catherine (which will be reprised and remounted (co-starring Chris Moore) at Le Bain St Michel next spring), with Paul Van Dyck directing. He also appeared as Marco in the Segal production of A View from the Bridge, directed by Diana Leblanc. Look for him in the soon-to-be-released motion picture And Now A Word from Our Sponsor, starring Bruce Greenwood and Parker Posey. Howard is currently working on the Canadian super hero web series heroesofthenorth.com. Please enjoy the show and visit howardrosenstein.com. Romy Daniel graduated from the Conservatoire d’art dramatique de Montréal in 2008. She has since held a lead role in independent feature film, Shadowboxing, by Jesse Klein. 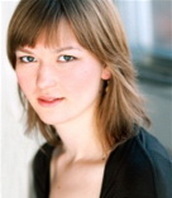 Member founder of young company, Théâtre passé minuit, she was part of director and author Reynald Robinson’s play, Il était onze heures le soir, presented at Salle Fred-Barry and of company’s last production, Hard Copy, by Isabelle Sorente, directed by Gaetan Paré. She was also a part of Tableau d’hôte’s ensemble piece, Humans, directed by Liz Valdez at the Segal center. Romy is very much excited to dive into this monumental piece and learn. Clive is delighted to have the opportunity to work with Persephone Productions again. His recent credits include Birdboot in The Real Inspector Hound for Lakeshore Players, Coggan in Far From the Madding Crowd, Exeter in Henry V for Persephone Productions, and Frank Strang in Equus for Village Scene Productions. Other favourite roles have included John Malcolm inSeparate Tables for Lakeshore Players, Chandebise/Poche in A Flea in Her Ear for Hudson Village Theatre, Paravicini in The Mousetrap for Hudson Players, Sid in West for Persephone Productions, and Gerald Lyman in Bus Stop for Level II Theatre. Alex Goldrich is excited and grateful to be working again with Persephone productions, after having participated in their 2010 production of Henry V. Born in Ottawa, raised in New Brunswick, and a Montrealer since 2007, Alex has performed in such roles as Hotspur in Henry IV, pt 1 (Saint John Shakespeare Festival), Rev. Hale in The Crucible (Saint John Theatre Company), Brick in Cat on a Hot Tin Roof (Saint John Theatre Company), Larry in Closer (Chesterfield Productions) and as Lucius in the Montreal Shakespeare Theatre Company's production of Titus Andronicus. Thanks and love, as always, to Mom and Dad. Born and raised in Sherbrooke, QC, Arielle moved to Montreal at 17 to pursue her greatest passion, acting. Now 21, with a DEC in professional theatre completed at Dawson College, she has since co-founded Title66 theatre productions with a few of her fellow graduating classmates, playing in both productions produced: Chekhov's Children and The History of the Devil. She was also seen in all five tours of the Segal Centre's Wandering Stars production of In Transit, a children's musical, and this summer played the role of Kay in Hudson Village Theatre's Ned Durango Comes to Big Oak. Most recently, Arielle was seen on the Centaur stage as Josée in August, an Afternoon in the Country. Arielle is truly grateful to have been given this opportunity and wishes to thank everyone who has made it possible for her to take on her Shakespearian dream role. This is Lucas's third time working with Persephone. Having had the pleasure to have already worked with this company, he is thrilled to take on this new experience. Lucas has already had the experience of playing many diverse characters such as Boris Trigorin in the adaptation of Chekhov's the Seagull, and more recently he has had the pleasure of portraying the Devil in Clive Barker's the History of the Devil. Both productions were presented by a theatre company of which he is a founding member, title 66 productions. Lucas, is very excited to tackle this compelling original story with an open heart and positive attitude. James Harrington was born and raised in Montreal. From a young age he was unnaturally attracted to the process of film-making and screen acting. After working in the industry through his early teens as an actor, he soon began to create his own short films with his fellow bohemians. He then studied cinema at Dawson college, after which he decided to study professional theatre. After a slight retreat from the stage and into independent film, he has recently returned to the theatre world. Over the past year he has acted in 4 plays, starting with Title 66's production of The History of the Devil by Clive Barker, singing and dancing at the Segal Center's production of In Transit, strutting his stuff in stilettos as The Queen in Persephone's production of To Be, desperately searching for evidence against Socrates as the slightly unhinged Aristophanes in the Fringe show Adopolis, and is now very excited to finally be a part of one of Shakespeare's most renowned pieces. Originally from Toronto Cam has just completed a BFA at Concordia in theatre performance. Recent credits include Alphonse Lebel in Scorched, Mephisto in Dr Faustus Lights the Lights with Concordia University, Tupolski in The Pillowman with Lifelong Productions and King/Lamplighter/Businessman in Machiavelli's Little Prince with Capricornicopa Productions. This production of Hamlet represents Cam's first professional show by the immortal bard and he is honoured to do his part in telling you this classic story. He would like to thank Persephone Productions and the entire cast and crew for inviting him to play. 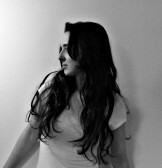 Michelle Lewis is a recent graduate of the John Abbott College Professional Theatre Program. Since graduating she has appeared in the Montreal Shakespeare Theatre Company's production of Titus Andronicus and on their school tour of Romeo and Juliet. Other recent projects include a collaboration with McGill Music students on a staging of Stravinski's Histoire du Soldat, as well as Kaleidoscope Theatre Montreal's The Tempest. 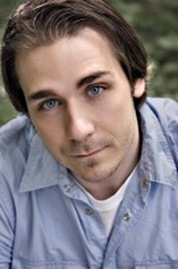 Zachary Creatchman is a graduate of the John Abbott College theatre program. He is very excited and grateful for the opportunity to work with Persephone productions for the first time. During his time at John Abbott he played Tevye in Fiddler on the Roof, Ken Gorman in Neil Simon's Rumors and George in Thornton Wilder's Our Town. Since Graduating he has played Creon inAntigone and Prospero in the Tempest as well as took part in work shopping Persephone's last production To Be, and was fortunate enough to be asked to record the song "Holding Hands" from To Be. Ezra was born in Marondera, Zimbabwe and grew up in Canada. To him, acting is about exploring the genuine potential personalities that lie within us and sincerely connecting with others. He plays music, passionately pays attention to politics, and loves an adventure. 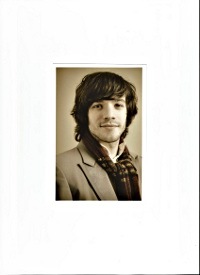 Ezra recently graduated from the John Abbott College Professional Theatre program. He has since co-founded a company, Collective Productions, and directed Rosencrantz and Guildenstern are Dead by Tom Stoppard under its banner. John Abbott credits include Mr. Webb in Our Town, Antonio in Saturday, Sunday, Monday by Eduardo De Filippo, and Patsy in Marathon '33. Ezra performed with the cast of Janus' Tin Can People in Scotland at the Edinburgh Fringe Festival last year and will appear in his screen debut in the upcoming miniseries Shockwave. Ezra is happy to be working with Persephone for his first full Shakespeare production. Caroline Gauthier first began her training as a classical singer and went on to study voice at the Vincent d'Indy Music School and at the University of Montreal, singing in various solo and ensemble concerts. In 2007, she began to study acting with Carter Thor Studios. She continues to perform on stage as an actress, singer and dancer. Recent theatre credits include Robin Hood Redux at Mainline Theatre and On Second Avenue at the Segal Centre. She can also be seen regularly on stage as a member of the Khorshid Khanoom Dance Troupe and as a member of the Ensemble Bellechose chambre choir. Isabel Faia recently completed the Professional Theatre Production Program at John Abbott College. Upon graduation, she was the co-recipient of the 2012 Pamela Montgomery Award. 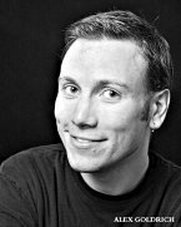 John Abbott credits include Head LX Marathon '33, Costume Crew ChiefOklahoma!, Stage Management Saturday, Sunday, Monday, Head of Sound The Heidi Chronicles and Lighting Designer Our Town. Previous work includes mold assistant for White House Down (film), set crew for Ned Durango Comes To Big Oak(Hudson Village Theatre) and sound design for All My Sons (Montreal Theatre Ensemble). This is her first time working with Persephone Productions. Logan Williams is a Montreal- based Theatre Artist. He is the Artistic Director of Title66 Productions, as well as an Actor and Set and Costume designer. Logan has worked for Teesri Duniya Theatre, Black Theatre Workshop, The Segal Centre and most recently Geordie Productions. Logan is very excited to be the designer for Hamlet and honour the words of William Shakespeare. The set and costumes have been inspired by modern day society and help create a period far before our own. Having just wrapped up a year with Black Theatre Workshop's artist in residence program, Alex is a recent graduate of the Dawson College Professional Theatre Program. Notable recent lighting design credits include A Promise to the Sun for Black Theatre Workshop, Eight Ways My Mother Was Conceived for Marybeth Productions, presently on tour to New York City as part of the United Solo Theatre Festival, and The History of the Devil for Title 66 Productions, in addition to having assisted on Table-d'Hôte Theatre's Elizabeth Rex, and Metachroma Theatre's Richard III. He is currently the technical director of the Turtle Island Theatre Company, in Kahnawake. Alycia O'Keefe has her DEC in Theatre Production from Cegep John Abbott. She's a Lighting and Sound Designer, Head Technician and Stage Manager. For Persephone Productions she was the Stage Manager for Henry V. She was the Head Technician for Concordia University's productions of Faerie: A New Musical and Theatre_Business. Lighting Designer credits include Nu Spyce's production of For Colored Girls and H. Standjofski's production of L'Homme Invisible and 2 Montreal Fringe Festival Plays. She's also Stage Managed 3 Montreal Fringe Festival plays, including La Tigressa's production of Dreaming in Autism, winner of the 2012 Best Production Design award. For Metachroma Theatre's debut production of Richard III, she was the Sound Engineer. Her next project is Lighting Designing Satrangi - Seven Stories of Light at the Bain St Michel and taking part in Black Theatre Workshop's Artist in Residence Lighting Designer Program. She thanks Persephone Productions for welcoming her back to where it all began! Béata Groves is a Liberal Arts graduate from a small college in what felt like the middle of nowhere. There, she fell in love with the emotional playground that is theatre and has been actively working in the Montreal English Theatre community for over a year. Having stage managed for Title66 Productions, as well as other independents, she is thrilled to work with Persephone and Logan Williams to create the world of Hamlet.